Home What's The Buzz? Highly commended Southwick Early Years! On Thursday evening, the Early Years Team attended The Pride of Wearside awards at the Stadium of Light. The children and staff were nominated for Fundraiser of the year, for the amount of money they raised for Grace House, after their walk up Penshaw Monument. Although they did not win this category, they recieved a highly commended award for their amazing fundraising. 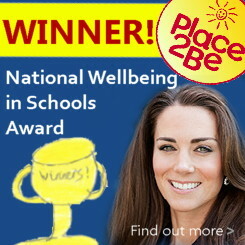 We are all so proud of the children for winning this special recognition award. Once again, we would like to thank the local community for their amazing support.